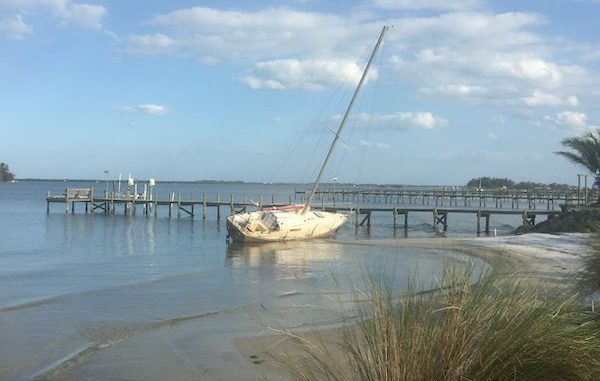 A sailboat has been abandoned since Hurricane Irma in Sebastian, Florida. 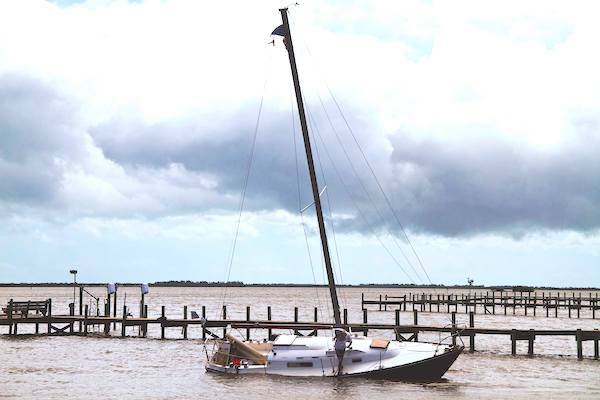 SEBASTIAN – The sailboat that has been abandoned since Hurricane Irma is becoming a tourist attraction in Sebastian. Tourists have been taking their pictures with the sailboat as a backdrop ever since it was abandoned after Hurricane Irma. The boat is located at a dock where it settled near the shoreline, just south of the Tiki Bar & Grill in Sebastian. 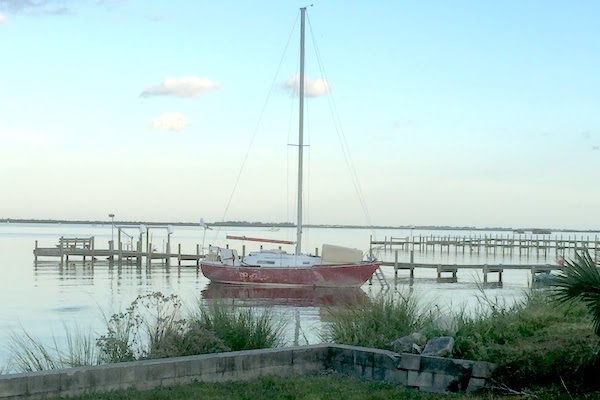 In September 2017, we talked about the sailboat prior to Hurricane Irma because we thought it was strange that it remained tied to a dock. Most people moved their boats away from docks and out of harms way before the storm. Today, the sailboat remains beached, and nothing has been done to remove it. It’s been 1 1/2 years. So, why is the sailboat still there? We’ve heard rumors about this sailboat that can fill a book, but nothing confirmed. We do have photos of what was going on with the sailboat prior to Irma. The photo below shows someone cleaning it out. Sailboat tied to the dock before Hurricane Irma. The next photo was taken right after Hurricane Irma. You can see someone standing on the boat packing up before it was abandoned. Someone removing items from the sailboat after the storm. Everyone is surprised that this sailboat is still there, but removing it isn’t as easy as you would think. The big question being asked is: Who is responsible for the boat being removed? Is it the City of Sebastian’s responsibility? 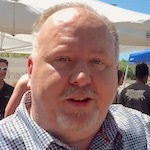 Not likely as they have no jurisdiction to remove boats, as it is in state waters. Basically, the sailboat will be there for a while because no one will take responsibility for it. And when someone tries to take responsibility, different government agencies will want a say on how it’s removed. So far, the sailboat isn’t bothering anyone as it leans to the right towards the shoreline. Some people think it’s an eyesore, and others think it’s sad that someone left this boat to rot in the water. Whatever the case, the sailboat has been neglected, and no one wants to be responsible for removing it.